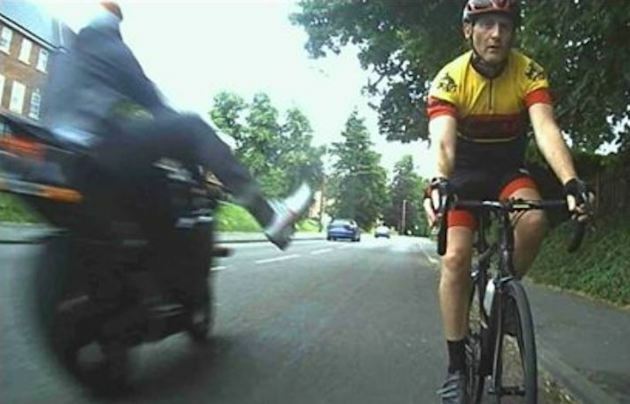 This ‘lunatic’ motorcyclist tries to kick passing cyclist off bike on in shocking video. 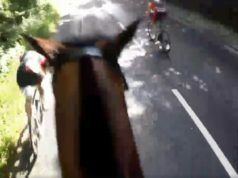 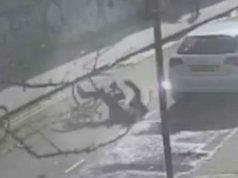 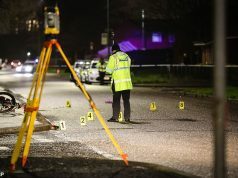 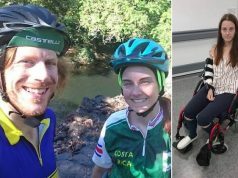 The incident took place in Coleshill, Birmingham (UK), and in the slow-motion footage at you can clearly see the motorcyclist taking his foot off the peg, aiming a kick at the cyclist. 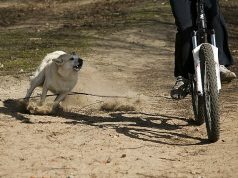 “There wouldn’t be any other reason to take the plate off,” he explained. 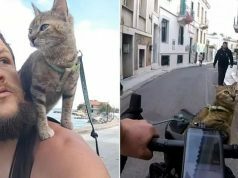 “Motorcycle thieves normally have another car or bike close to help stop anyone seeing it’s missing its number plate,” he added.